From the beloved bestselling author of Home Safe and The Year of Pleasures, comes a wonderful new novel about women and men reconnecting with one another—and themselves—at their fortieth high school reunion. To each of the men and women in The Last Time I Saw You, this reunion means something different—a last opportunity to say something long left unsaid, an escape from the bleaker realities of everyday life, a means to save a marriage on the rocks, or an opportunity to bond with a slightly estranged daughter, if only over what her mother should wear. As the onetime classmates meet up over the course of a weekend, they discover things that will irrevocably affect the rest of their lives. For newly divorced Dorothy Shauman, the reunion brings with it the possibility of finally attracting the attention of the class heartthrob, Pete Decker. For the ever self-reliant, ever left-out Mary Alice Mayhew, it’s a chance to reexamine a painful past. For Lester Heseenpfeffer, a veterinarian and widower, it is the hope of talking shop with a fellow vet—or at least that’s what he tells himself. For Candy Armstrong, the class beauty, it’s the hope of finding friendship before it is too late. As Dorothy, Mary Alice, Lester, Candy, and the other classmates converge for the reunion dinner, four decades melt away: Desires and personalities from their youth reemerge, and new discoveries are made. For so much has happened to them all. And so much can still happen. In this beautiful novel, Elizabeth Berg deftly weaves together stories of roads taken and not taken, choices made and opportunities missed, and the possibilities of second chances. Elizabeth Berg is the author of many bestselling novels as well as two works of nonfiction. Open House was an Oprah's Book Club selection, Durable Goods""and""Joy School were selected as ALA Best Books of the Year, and Talk Before Sleep was short-listed for an Abby Award. Her bestsellers also include The Year of Pleasures, The Day I Ate Whatever I Wanted, and Dream When You're Feeling Blue. 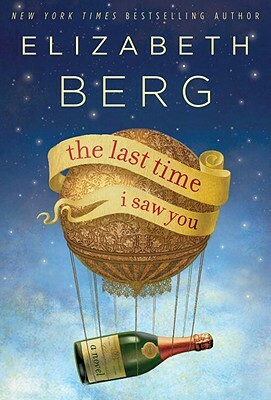 Berg has been honored by both the Boston Public Library and the Chicago Public Library and is a popular speaker at various venues around the country. She lives near Chicago.